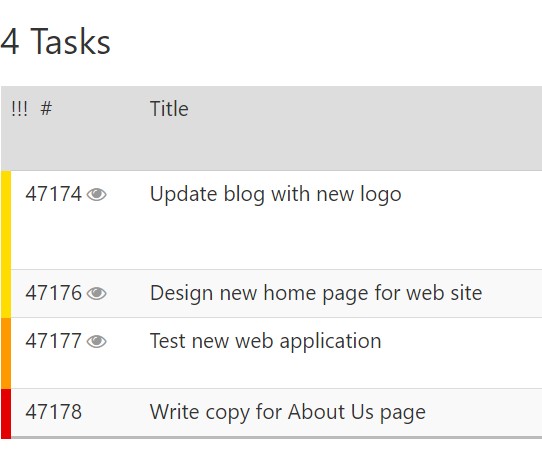 A common feature request we’ve received is for task listings to clearly communicate which tasks have been recently updated. We’re excited to let everyone know we’ve recently launched this feature. There are two items of note that go along with this new feature. First, we’ve added a link in the Tasks menu labeled “Recently updated tasks.” Click this link to filter the task listing so it shows only those tasks updated in the last 24 hours. Second, recently updated tasks will be denoted by an eyeball icon in all task listings. The icon will remain visible until you’ve clicked on the task to view it. 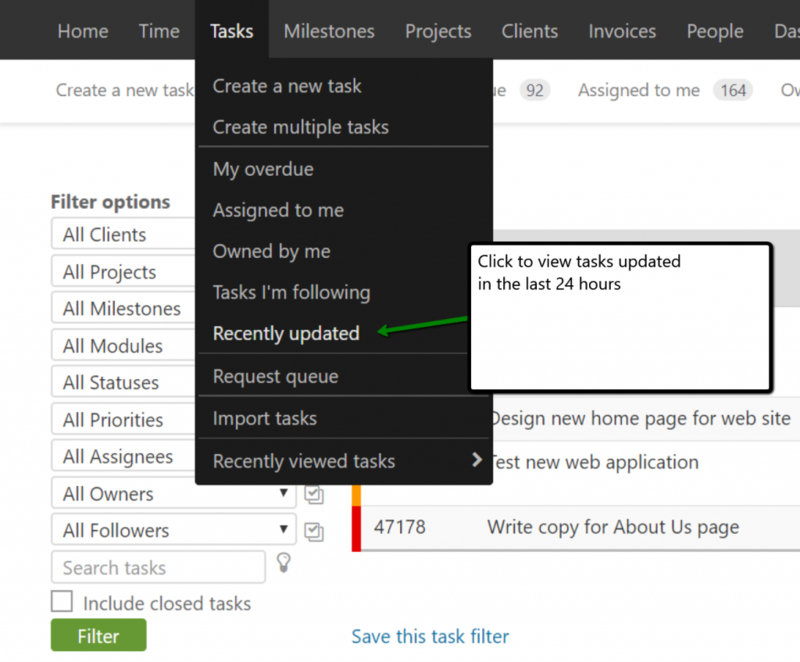 This enables you to quickly scan the task listings for recent updates you have yet to see. We love customer feedback — especially ideas on how we can make Intervals better. Log in and let us know what you think about this new feature. Need a little more information? Check out this help resource on our help site. Thank you! I’ve been waiting for this. I will use this daily for my two main projects.